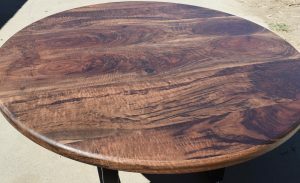 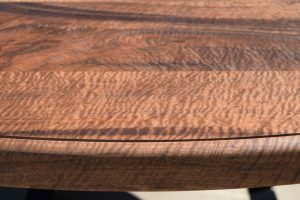 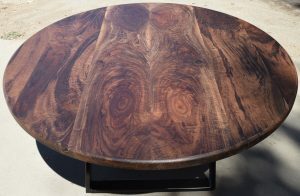 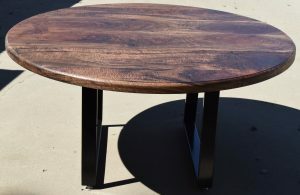 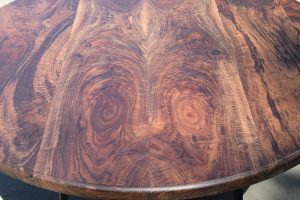 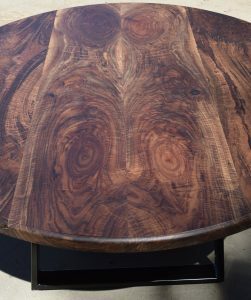 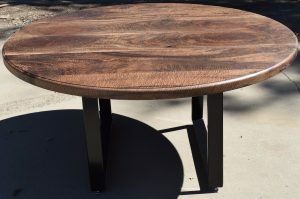 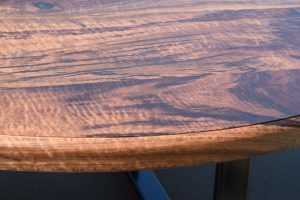 This is a one of a kind custom 60″ round Claro Walnut dining table that we made from our incredibly figured Claro lumber. 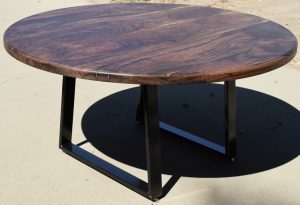 This table will seat 8-10 people comfortably and sits on our tapered sled base that was powder coated gloss black. 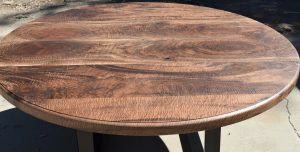 The table will be auctioned off at the Alternatives Gala on 9/16/16.